LEXINGTON, KY -- In a proposed commonwealth budget that allocates over $3.4 billion for road projects, a small request of $3.5 million to fund the Kentucky AIDS Drug Assistance Program (KADAP) has been ignored, leaving hundreds living with HIV/AIDS facing difficult choices. "We've heard stories from people seeking out second mortgages to pay for their meds," say Kentucky Equality Federation President Jordan Palmer and Kentucky HIV/AIDS Advocacy Action Group (KHAAG) President Bobby Edelen. "One person who approached us said, 'with the uncertainty of receiving assistance I am thinking about selling off my life insurance policy' to afford life-sustaining medications. We’re back to the 80s." The nearly 1300 patients enrolled in KADAP, which is currently unfunded, receive medications through a hodge-podge of resources that are temporary and unsustainable. In the meantime, Kentucky has the longest waiting list in the nation for drug assistance—numbering over 160 men and women—with more being added every day. "When do we come off the waiting list?" asked one HIV/AIDS patient, "When we die?" People with HIV/AIDS who do not have access to medications are at increased risk for opportunistic infections, more frequent hospitalization (often under indigent status), and early death. In contrast, a person who is taking HIV medications as prescribed and taking care of their health can reasonably expect to live as long as someone without HIV. "Not funding the Kentucky AIDS Drug Assistance Program is inhumane, shortsighted, and threatens individual and public health," states Palmer, who met with lawmakers six times during the legislative session trying to get KADAP restored. Palmer held several meetings with Representative Tom Burch, Chairman of the House Health and Welfare Committee, DeeAnn Mansfield, Staff Administrator, House Health and Welfare Committee for the Legislative Research Commission, and Representative Jimmie Lee, Chairman of the House Budget Subcommittee on Human Resources. On February 17, Edelen met with House Representatives to discuss the state of KADAP and other factors causing health care disparities in those living with HIV/AIDS. "Chairman Tom Burch, a champion for the cause of health equity, asked some very astute questions," noted Edelen. "In those questions, he demonstrated his support for re-funding KADAP and willingness to work on some measures to eradicate the waiting list. However, the House Appropriation and Revenue Committee did not seem willing." As the commonwealth's budget makes its way through the Senate, time is running out for those who depend on KADAP for their medication. "Given the larger financial crisis facing the Commonwealth, this may seem a specific and 'special interest' concern. The impact, however, is far reaching. Individuals with HIV/AIDS are mothers and fathers, family providers, valued employees, consumers, and citizens. Lack of access to medication will result in more work missed, a greater strain on social service organizations as families are forced into poverty and homelessness, a burden on medical facilities who must write off astronomically expensive HIV/AIDS hospital care to indigent and low income people, plus further disenfranchisement of those Kentuckians already at highest risk. Inasmuch as the commonwealth is feeling the challenges of the current economic climate, low-income individuals and families living with HIV/AIDS are losing jobs, struggling to make ends meet, and deciding whether to use their meager incomes to buy life-sustaining drugs or to pay rent and buy food for their families. AVOL sees an urgent need for action to restore KADAP. This effective program of preventative care is in the best long-term interest of the Commonwealth as well as those living with HIV/AIDS. Given the potential adverse effects and medical impact, time is of the essence." Minority populations are disproportionately at risk for HIV/AIDS. According to statistics from the HIV/AIDS Branch of the Kentucky Cabinet for Health and Family Services, African-Americans in Kentucky make 7.6% of the commonwealth’s total population but account for 36% of all new HIV infections. Similarly, Latino Kentuckians make up 2.4% of the population but account for 7% of new HIV infections. AIDS organizations across the Commonwealth are expressing alarm and dismay that the budget will be passed that does not include funding for the Kentucky AIDS Drug Assistance Program. Small non-profits do not have the resources to provide a safety net for the commonwealth’s shortfall in funding. Other OUTsource concerned members: Sara Ailshire, Erik Bentley, Watson Harding, Matthew Hufford, Matthew Layson, Vincent Purcell, Ashley Scott, Brandon (Chase) Stamper, and Breanne Weaver. Other UK Gay-Straight Alliance concerned members: Matthew Layson, Matthew Hufford, Breanne Weaver, and Erik Bentley. About Kentucky Equality Federation:Kentucky Equality Federation is Kentucky's largest all-volunteer grassroots lesbian, gay, bisexual, transgender, and intersex ("LGBTI") civil rights and advocacy organization. With more than 18 volunteers, Kentucky Equality leads efforts for LGBTI civil rights at the state level through an array of strategies to bring equality and fairness to Kentucky. The Kentucky HIV/AIDS Advocacy & Action Group is a coalition of groups concerned about the growing epidemic of HIV/AIDS in our Commonwealth and the often unrecognized impact that HIV/AIDS has on all Kentucky citizens. AIDS Volunteers, Inc. ("AVOL") is a non-profit organization that provides services to those living with and affected by HIV/AIDS, as well as HIV prevention education & outreach to 72 counties in central, eastern, and southeastern Kentucky. The Kentucky HIV/AIDS Planning and Advisory Council (KHPAC) is a 30-member body appointed by the Governor to carry out the provisions of KRS 214.640, the Centers for Disease Control and Prevention HIV Prevention Community Planning Guidance and the Health Resources and Services Administration Planning Bodies Manual. KHPAC works in collaboration with the HIV/AIDS Branch of the Kentucky Department for Public Health to ensure HIV/AIDS prevention activities, services and policies meet the needs of the people of the Commonwealth of Kentucky. Children Of Lesbians And Gays Everywhere (COLAGE) is an organization, created in 1989 by the children of several lesbians and gay men who felt a need for support. There are 52 COLAGE chapters in the United States of America, 2 chapters in Canada, and one European chapter. COLAGE – Northern Kentucky Chapter is also a member of Kentucky Equality Federation. Owned by United We Stand Media, LLC., United We Stand is Kentucky's Online Gay, Lesbian, Bisexual, Transgender, and Intersex News Magazine. United We Stand currently reached more than 800 readers around the Commonwealth. United We Stand™ covers news related to Kentucky's LGBTI community. Our name was chosen carefully; not only is it part of the motto of the Commonwealth, but it truly defines our community as a whole, as does the entire motto of the Commonwealth: "United We Stand, Divided We Fall." WINGS is a federally funded outpatient medical clinic for HIV+ persons. The goal of WINGS is 100% access to comprehensive medical care and 0% disparity in the quality of care provided. Wings provides services including primary care, infectious diseases, nutrition services, support groups, mental health assessments and referral, as well as a liaison to community services for those with HIV/AIDS. House of Ruth is a nonprofit community-based organization caring for families and individuals with or affected by HIV/AIDS. We provide a holistic client-centered approach for housing and advocacy programs. This includes: life skills, children’s programs and other support services to help strengthen lives. Since opening on October 3, 1998 Moveable Feast Lexington (MFL) has delivered hot nutritious meals daily to people living with HIV disease in Lexington/Fayette County Kentucky. The mission of the Gay and Lesbian Services Organization (GLSO) is to improve the quality of life for gay, lesbian, bisexual and transgender (GLBT) individuals and their families and allies in Central and Eastern Kentucky, by providing a community focal point through outreach, information access, and support. 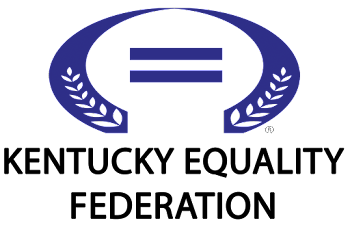 The goal of OUTsource is to provide an affirming, safe, and confidential space for GLBTQQA students to learn more about gender identity, human sexuality, and related issues by providing access to academic, cultural and interpersonal resources; and to change the campus climate and culture to become more inclusive of GLBTQQA students by embracing diversity. We promote awareness and fairness concerning GLBTQQA issues at UK and work for a unified gay and straight community in the Lexington area.